New ecommerce trends emerge at an overwhelming pace. Here we have gathered all the trends for you to keep up with so that you can match (or, ideally, outdo!) your competition. The ecommerce market is steadily growing each year. 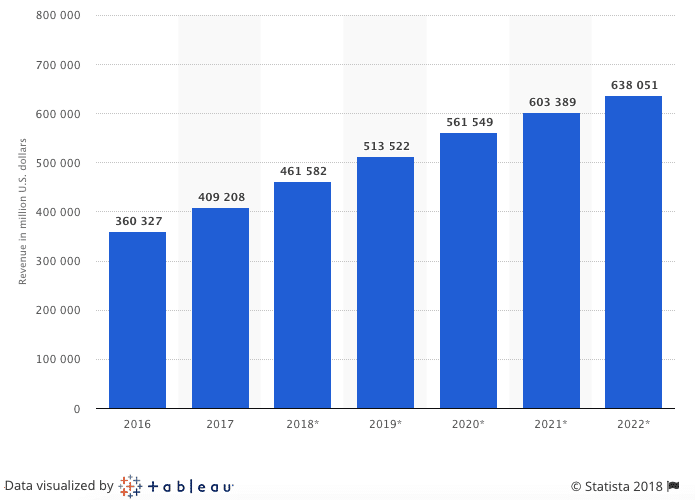 At the end of 2018, online sales of physical goods will amount to 462.5 billion US dollars and are projected to surpass 603.4 billion US dollars in 2021. 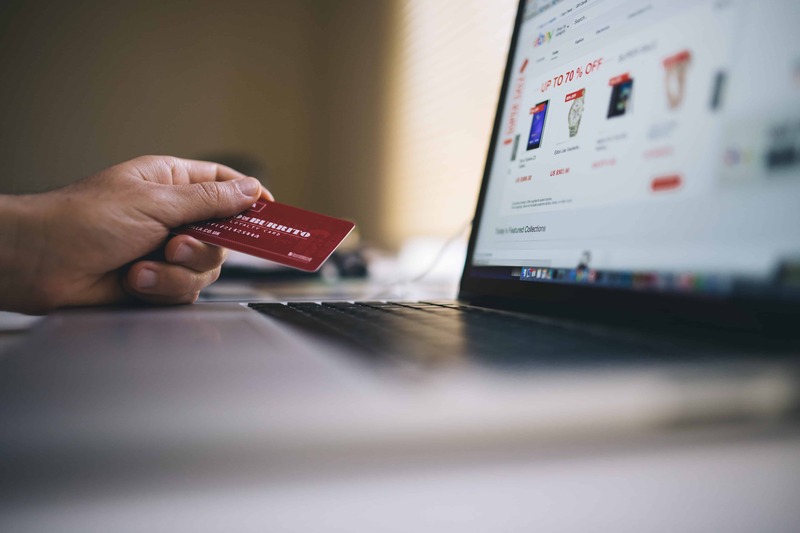 The most successful branches of ecommerce — apparel and accessories — in the U.S. are projected to generate over 121 billion U.S. dollars in revenue by 2021. That’s why it’s necessary for your ecommerce business to keep up with the newest ecommerce trends of 2019. Headless ecommerce is a phenomenon that has been talked about a great deal in 2018. In 2019, we really expect adoption to ramp up, particularly among smaller retailers. Headless ecommerce refers to the use of ecommerce platforms (which now include Shopify or Magento) that don’t require a pre-designed storefront (and are therefore described as being “headless”). Data is retrieved from the backend via an API and is separate from the frontend. This gives retailers full creative control over their storefronts across a variety of channels, including desktop, mobile and social media. A comparison between headless commerce and traditional commerce. Source. Voice assistants like Apple’s Siri, Amazon’s Alexa, and Google’s Assistant are growing more and more popular. Already, people are using them to make purchases, and research shows that most users fall within the expanding younger demographic. In fact, voice shopping is expected to grow to 40 billion by 2022. Siri is the most used voice assistant in the US. During 2019, expect to see greater use of voice assistants to make regular purchases like groceries. North America has thus far seen the greatest use of ecommerce-oriented voice assistants, so expect wider rollout and a growing presence in as-yet-untapped markets. By 2025, the global chatbot market is expected to generate revenues in excess of one thousand million dollars. And ecommerce represents a big slice of this. 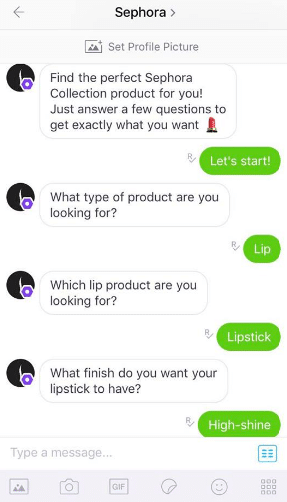 Chatbots will continue to be one of the biggest ecommerce trends going into 2019. 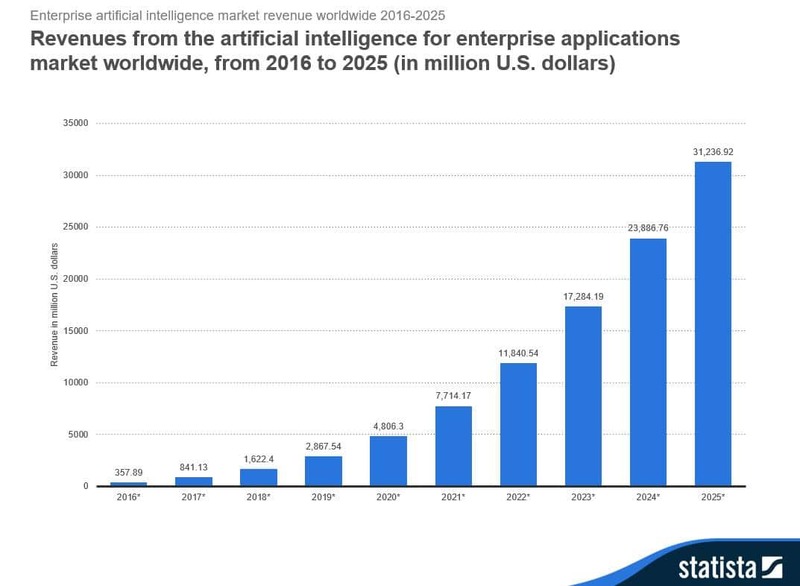 The global chatbot market has attained a massive 24.3% Compound Annual Growth Rate. 45% of end users consider chatbots their primary choice for customer service inquiries. 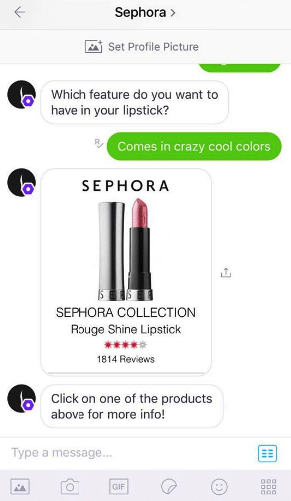 Ecommerce chatbot conversation: KIK – Sephora.com shopping assistant. AI, in a nutshell, entails making a technology understand repetitive human habits. We can’t underline how much worth the ecommerce market can gain from understanding customer needs and serving them. Early AI adopters that combine strong digital capability with proactive strategies have higher profit margins and expect the performance gap with other firms to widen in the next three years. Both small and big ecommerce players can gain a lot by using various forms of artificial intelligence. Source: Statista. Also, AI is becoming the next competition for IT developers: in the near future it will be able to code independently, based on UX sketches. To some AI, may seem worrying, artificial and negative, but it’s just another form that will allow online stores to provide an even more personalized and private experience for online shoppers. Amazon has doubled their army of packing robots. In 2017 Amazon has doubled their army of packing robots. Click&Brick businesses should take a close look at this prediction to introduce it in their own automation. When robot packaging arrives in full force, it will dramatically decrease the labor cost. Queues in IT keep growing and growing. Sometimes even a small change in the front-end requires weeks of coding. In contrast, single stack software enables huge changes in online stores, but requires only 1 line of a script. That’s why software based on single Tag-UI is growing in popularity. Growcode is one of them. Single Tag-UI software will gain popularity on the ecommerce market due to ques and costs of website development. In the past, ecommerce directors had to decide between major redesigns, or conversion rate improvement. But ecommerce redesign process is often costly and conversion rate improvement is often not enough. Now there’s a third option. Ecommerce optimization. It’s a constant online store development solution that provides a guaranteed revenue boost. Not sure how it works? Take a look at Amazon.com. You haven’t seen them doing a major redesign, however, they are constantly and endlessly improving. Ecommerce optimization is an unstoppable ecommerce development that will gain even more popularity in 2019. So if you’re tired of sluggish IT improvements, but don’t want to invest in pricey redesigns, ecommerce optimization is a way for you. VR, also known as computer simulated reality, makes us feel as if we’ve entered a simulated environment. Virtual reality will create an even more personalized shopping experience for your customers. Many industries benefit from VR/AR technologies. Retail and ecommerce is one on them. Samsung Gear VR and Oculus Rift transformer the gaming world – but how can you use this technology in the world of ecommerce? Well, sky is the limit. One of the possibilities is the opportunity to browse instore items, just as you could by visiting a regular shop. But, it would be personalized according to previous shopping experience, personal preferences, and shopping history. So every customer could have their own version of your shop. Estimates say that in 2018, 50% of ecommerce revenue will come from mobile users. 124 Million U.S. customers own smartphones. The math is simple. If you haven’t started already, do not wait to start investing in optimizing mobile version of your ecommerce store. That’s a serious 2018 ecommerce trend! Find out also how social commerce is influencing the rise of mcommerce. Traditional (desktop) is still the winner, with tablets coming up second. Average conversion rate by device: desktop: 3.78%; tablet: 3.3%; mobile (smartphone): 1.29%. Source. As is clear from the data, conversion rates for large-screen devices like tablets and computers are significantly higher (more than double) than the conversion rate for mobile. So there is still a room for improvement when it comes to mobile ecommerce. Personalized shopping experiences, based on personal recommendations, saved preferences, location etc. are nothing new. But 2019 is the year we expect to see smaller stores offering these same dynamic experiences, driven by the fact that ecommerce platforms are now offering this functionality out-of-the-box. The data is clear about the positive impacts of personalization. Source. Sitecore, Monetate and Magento 2, for example, include new features that offer relevant recommendations to potential buyers, based on customers’ search histories. Where is the rest of 41 predictions? They are listed in our free ebook: get the Ultimate Review of ALL 2019 Ecommerce Trends to know them all. And btw you can also check out the list of the best ecommerce influencers and blogs to follow in 2019!